My first brush with Octane was not a good one. I bought the renderer shortly after it came out (which I seem to do with every new render engine) - mostly intrigued by the GPU nature of it. I had some experience with Arion at the time and iRay as well - GPU rendering was still mostly a curiosity but I couldn't ignore the gallery images. This was shortly after Luxology ran their infamous (at the time) CPU vs. GPU tests and I made the mistake of posting on the Octane forum (well, it wasn't a mistake - you should be able to post on the forum of a product you purchased without anything weird happening). I was responding to a post from the then owner and creator of Octane who took issue with Luxology's tests. I can't remember the substance but something to the effect of there weren't any motherboards out at the time that could hold enough graphics cards to do what he was saying Octane could do (I figured it was innocent nerd combat over hardware...the type of thing that happens a thousands times a day). Anyway, the next day I got a personal email from the guy demanding to know if I worked for Luxology and what was I doing with a license of Octane. I've had a close relationship with Lux for a number of years....I've demo'ed at Siggraph, MacWorld and Solidworks World for them, I beta test the product, I live in the same general area as the founders and usually hang out with them at industry events. So it's not too surprising that he associated me with Luxology. After explaining (nicely) who I was and what I did I received another email informing me my account was frozen and I was kicked off the forums for 'bad behavior'. I was shocked, but learned that the same thing had happened to numerous other people from the Luxology and CGTalk forums. Ok....the guy's a paranoid freak, whatever. The program was just a curiosity. Then OTOY bought Octane in early 2012 - and IMO saved it from obscurity. After I saw that Octane had been acquired I contacted them to have my license re-instated which they did immediately. Needless to say OTOY's acquisition was the best thing to happen to the program - the paranoid weirdness that surrounded the forum and it's developer was gone and the program has really flourished the last couple of years. Octane, Arion, Maxwell (and other GPU and CPU renderers) all suffer a similar problem - their host apps are clunky and a PITA to use. The 'winners' of these new unbiassed renderers will be the ones to seamlessly integrate with a host app. MODO isn't usually (or ever) the first host app on the list to get a plug-in - so it's been very refreshing to see all the effort that Paul Kinnane (aka Face_Off) has put into the MODO plugin. I've been playing around with it the last few days (while putting off work, very irresponsible of me) and hope to get a full review up soon. 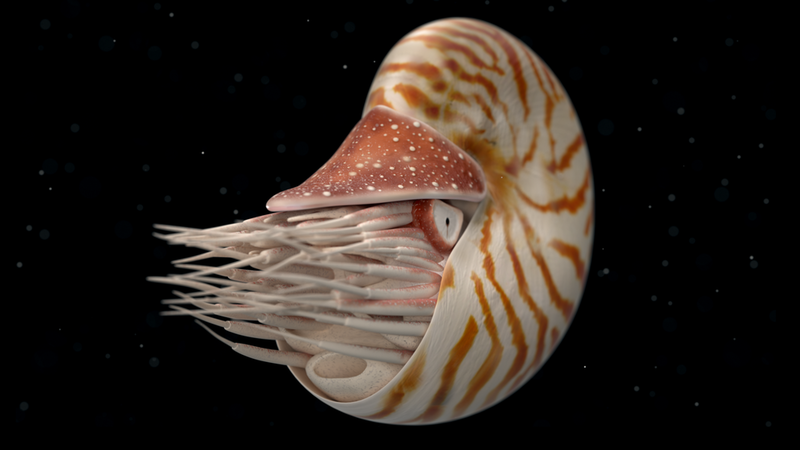 Until then here's some cephalopods rendered in Octane 2.0 goodness for you. These were designed for a Unity project so the geometry is pretty low (the eyes especially....they're just painted on). They were modeled in MODO by Andy Brown and painted, rigged and animated by myself. I'll try and put a walkthrough of the Cuttlefish (my new favorite animal) rig as well..some cool stuff going on there. This little animation was rendered from within MODO on Octane 2.0. While Octane 2.0 is capable of motion-blur on vertex (deformation) animation, it's not implemented in the plug-in yet. There's a couple of other minor issues but all-in-all the plug-in (while still in beta for a few more days) is totally capable of real production work. If you're interested in rendering, have MODO and are curious about Octane...then I say go for it. I'm very happy I gave it another chance. These frames were rendered on a system with two GTX 680's with 4GB each. I believe the frames rendered in about 10 seconds (!) each. If you want to take a rather informal and rambling look at the cuttlefish's rig - then you're in luck, video below....err...below the first video. These things are really amazing in person - although I have to say the coolest animals I've seen lately are the broad fin reef squid at the Monterey Bay Aquarium's new 'Tentacles' exhibit. Squid are really hard to keep (I'm not sure anybody else on the planet exhibits them) because they're open water species and very skittish. They tend to kill themselves slamming into the glass. These guys though...they get acclimated to glass and people since they hatch and they come right up to you like a bunch of puppies. There's definitely something going on in those alien brains of theirs. Newer PostRiver Ecosystem Part 2b is up...plus Video Game Cinematics!